Now, i have had my good share of video editing software reviews. They all have their strengths and weaknesses. I am bringing something unique today in terms of video editing/processing software. VideoProc: GoPro/4K video software is available on both Mac & Win. I am happy to inform you that you stand a chance of owning a 1-year license of Videoproc video software for free. To be eligible for this offer, all you need to do is to participate in their giveaway on this page. What are the Unique/exceptional features of VideoProc: GoPro/4K video software? It supports four not too common modes of processing, converting and editing videos. First and foremost, it becomes a necessity to convert your videos if you want to be able to watch them on all devices. Some mobile phones, especially older ones, cannot handle all videos and codecs. Apple devices especially e.g iPhone, iPad e.t.c only supports certain video codecs. Sharing funny videos on social media is nice and all, but what if you want to save them? Either to store them or to watch them while not being connected to the internet? Downloading these videos is always not as easy as uploading them. If you have a great video processing tool like videoProc, you are better off as it supports youtube and facebook videos. Another cogent reason to convert your videos is when you want to watch your GoPro 4K on other devices. As it stands, most laptop screens don’t support 4k resolution. Same applies to most phones out there. VideoProc offer hassle-free GoPro 4k video conversion. In most cases, while converting your video, you can also do some basic editing. At least Videoproc offers an extensive array of video editing and customization. Your video is upside down? Or tilted to the side? Or is it simply too big to be sent via WhatsApp or another messenger? An online video converter can help even here! 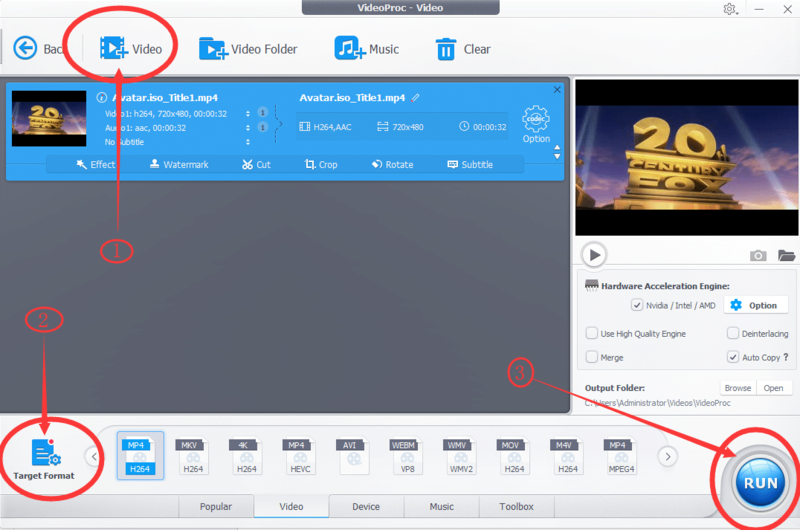 These modes are Video(you can add or drag and drop any video file for conversion), DVD videos can also be ripped with VideoProc, Downloader(this feature allows you to add a video URL for download and processing subsequently) and finally, recorder mode. With VideoProc: GoPro/4K video software, you can process or convert GoPro 4K videos without experiencing any quality loss. Edit, convert, resize and adjust 4K UHD videos, DVDs and music easily at fully accelerated speed. All the above makes VideoProc be a step ahead of competitions especially in the region of HERO4, 5, 5 and 7 videos conversion as well as their fully functional hardware acceleration feature. To learn more about VideoProc’s hardware acceleration and its benefits, please visit this page. Worthy of note, the app supports full GPU & CPU acceleration. VideoProc: GoPro/4K video software actually excels where others failed. I have used many video editing software in the past that converts the file formats successfully but make me lose much if the video quality. In other scenarios, it takes an eternity for you to convert a short 4K video using many video processing tools out there. 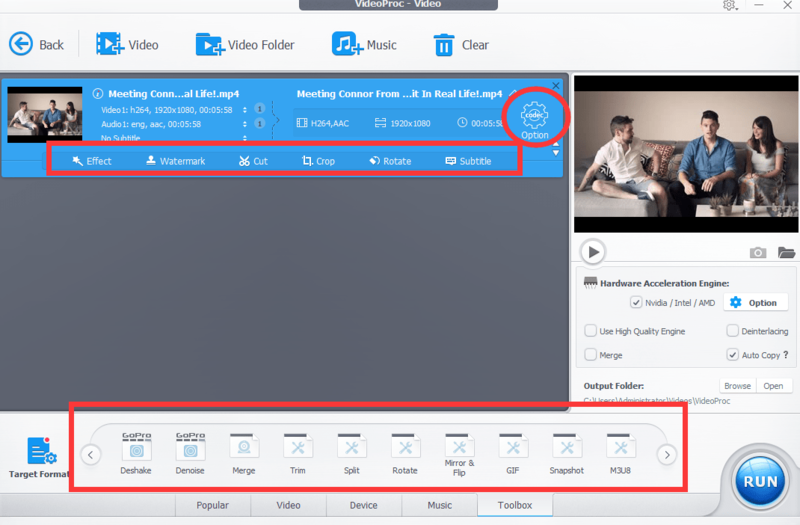 The full hardware acc feature of VideoProc enables it to utilise your pc adware to hasten the whole process. There is a very detailed guide on how to convert GoPro 4k videos fast without losing the details. I will give just one of the scenarios while I leave you to read the other 5 from the developer’s site. Although YouTube and Facebook allow users to upload long and large files, there’re still limits on file size and length. You can check the details in the table below. If your GoPro 4K video goes over the limit of YouTube, Facebook or other sites, you can use VideoProc to resize it. Before the resizing, to upload a perfect copy for sharing, you can remove background noise from your GoPro recorded videos. 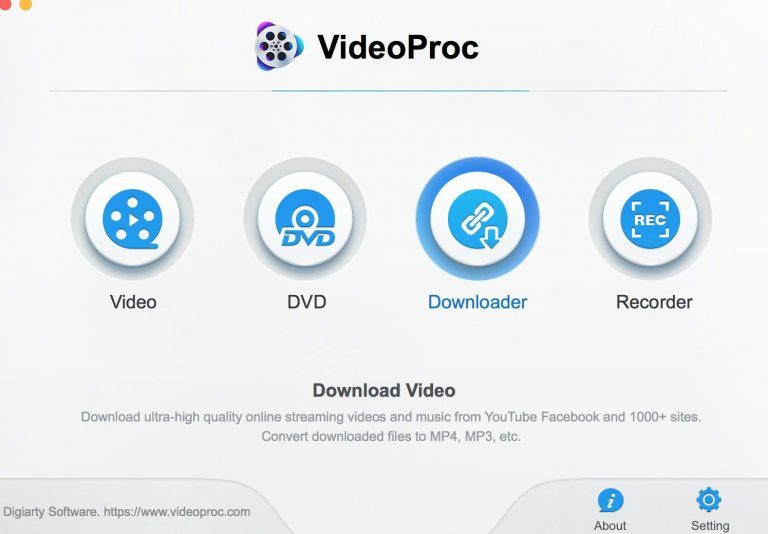 VideoProc is a piece of one-stop video processing software that can easily resize 4K UHD videos shoot by GoPro HERO4/5/6/7, DJI drone, iPhone, or other devices. 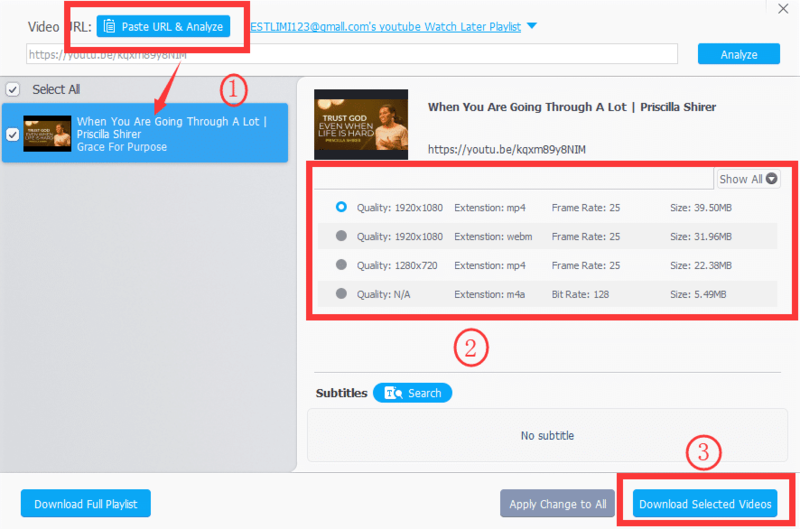 It helps users reduce both length and file size of a video with ease. Armed with Intel, AMD and NVIDIA powered level-3 hardware acceleration, it can finish resizing or other video processing tasks at super fast speed. If you read this and decide to participate in the giveaway and acquire the VideoProc: GoPro/4K video software license key, I will say congratulations. This piece of underrated software delivers more than it promises. At the end of the giveaway, I am certain that you will have reasons to purchase the full license. This is so true if you are a graphic designer or anyone who loves to edit videos.